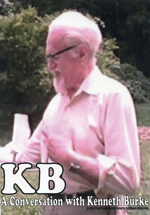 We're pleased to announce that the seventh triennial conference of the Kenneth Burke Society will be in Philadelphia, June 29-July 1, 2008 (Sunday through Tuesday), at Villanova University. Events will be on both the Villanova Campus and at the nearby Villanova Conference Center. The conference planner is Bryan Crable.